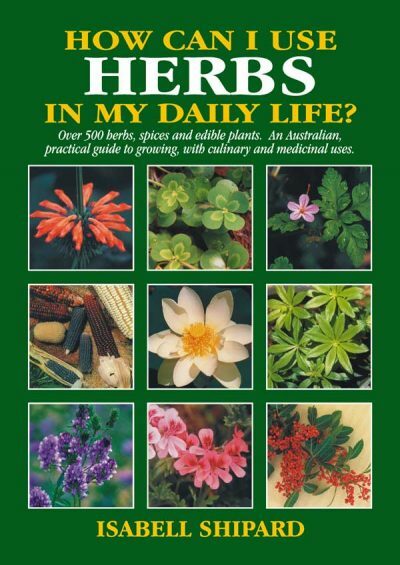 Herbs are Special > Products > Isabell's Books and DVDs > Wonderful World of Herbs! 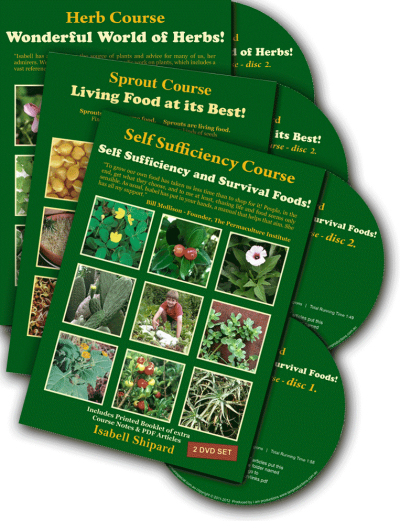 View cart “Herb, Sprout and Self Sufficiency – DVD Bundle – 10% OFF” has been added to your cart. 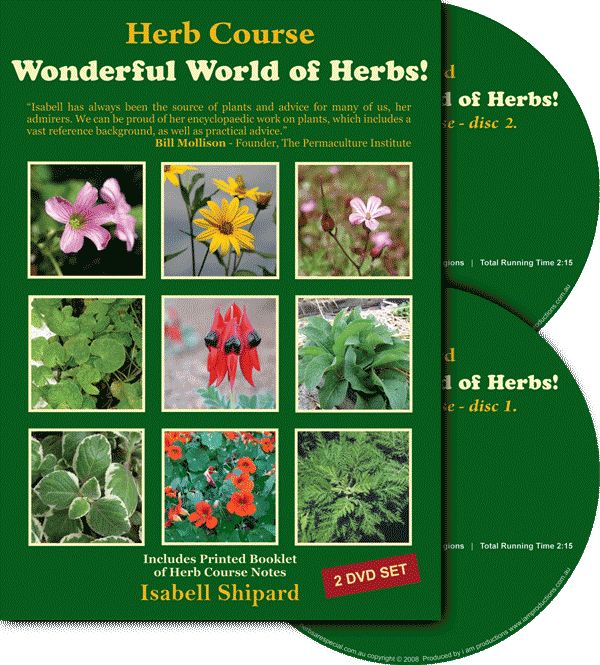 Home / Isabell's Books and DVDs / Wonderful World of Herbs! 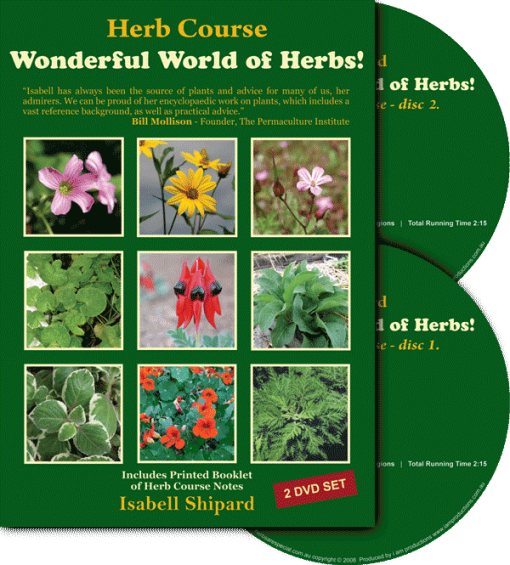 To get the most out of Isabell Shipard’s herb courses on DVD, it is recommended to also have Isabell’s herb book “How can I use HERBS in my daily life?” as the course gives a visual learning experience, but cannot in a few hours give all the information that is valuable about the herbs. 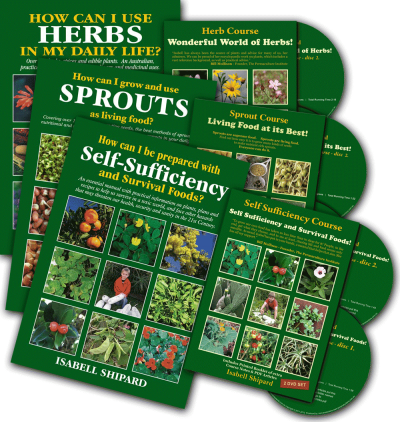 Isabell Shipard’s passion is herbs, and she loves to inspire and share the joys and wonders of natural herbs. 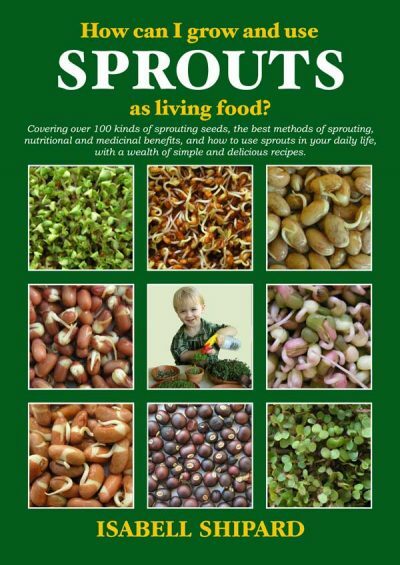 For over 30 years, Isabell and her husband Derrick, have lived on their picturesque farm at Nambour, Queensland, and grown and distributed herbs on the Sunshine Coast and by mail order. 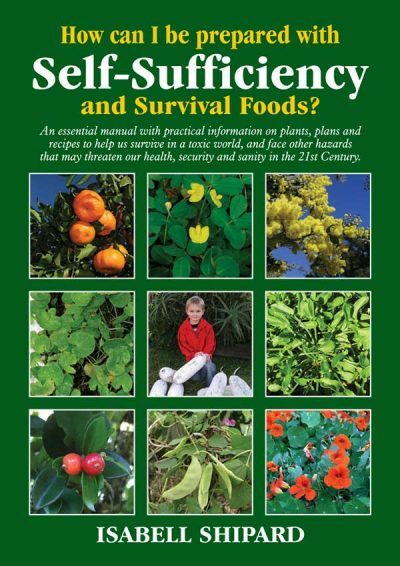 Their large collection of culinary and medicinal herbs, spices, fruit, rare edibles and seed varieties have been sought after by gardeners throughout Australia and internationally. They have supplied herbs for cooking demonstration by The Naked Chef Jamie Oliver, and displays for international expos. 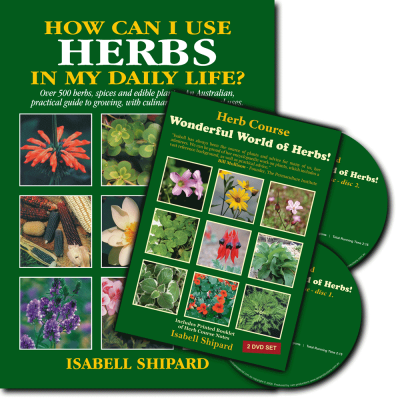 For over 10 years, Isabell was a guest on ABC radio Coast FM for the popular segment, Herb of the Week. 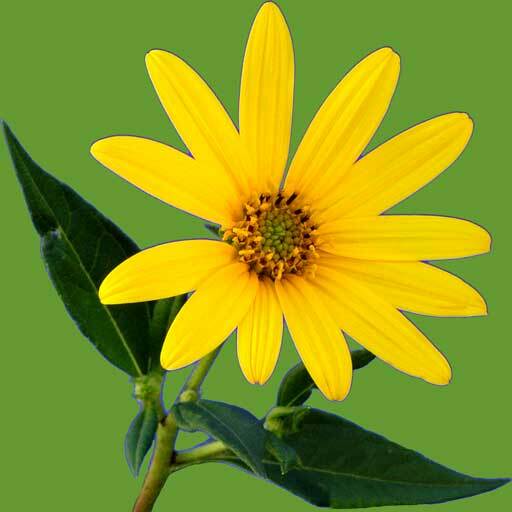 Isabell has assisted universities and botanical gardens in sourcing plants for display and research. The farm has been featured on numerous TV programs, including Gardening Australia, The Great South East and Totally Wild. 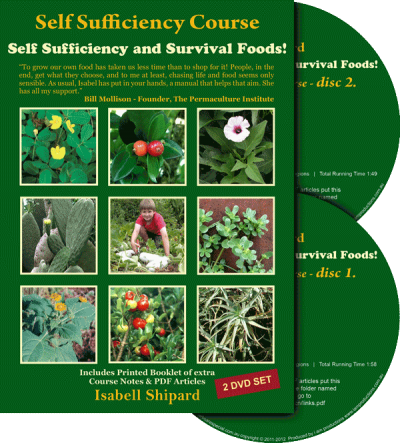 With Isabell s experience and knowledge of growing and using herbs as culinary delights, alternative medicines and herbal remedies, she has taught courses on herbs at the Sunshine Coast TAFE, and areas in Queensland, and has often been asked to speak at schools, herb and garden clubs, permaculture and organic growers-groups, expos and organisations interested in natural health.